The USC Trojans lost 30-27 to the Washington State Cougars on Sept. 29, and at the end of the game the Washington State fans rushed the field. 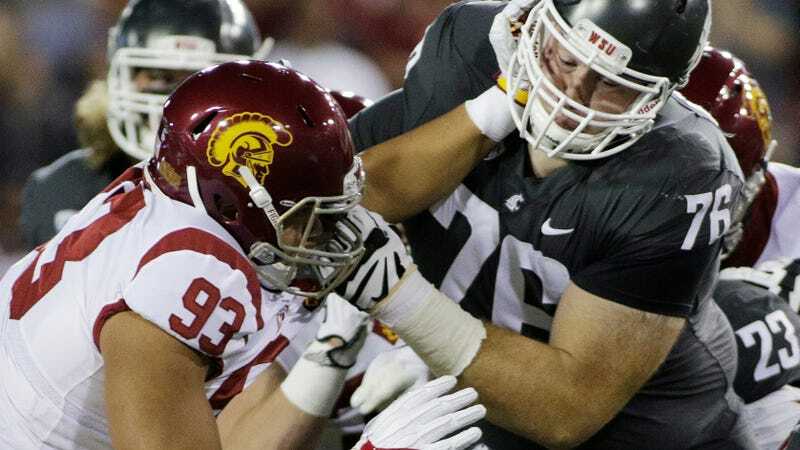 During the chaos, USC defensive lineman Liam Jimmons was seen laying out one of the Washington State fans. Now, according to KXLY, Washington State University police are looking to bring charges against Jimmons. Police say the student who was hit has been to the hospital twice because of post-concussion syndrome, and thus want Jimmons charged with felony second-degree assault.